Japan and China held their first high-level economic dialogue in almost eight years on Monday against a backdrop of trade threats from the U.S. Neither side is publicly linking the talks in Tokyo between Chinese Foreign Minister Wang Yi and his Japanese counterpart Taro Kono to President Donald Trump’s protectionist policies. But the meeting is a timely reminder of how much they both rely on the American market, as well as how interdependent the two Asian nations have become. Japan asked China to ensure the fair and free transfers of technology and exchanges of intellectual property, Kono told reporters after the meeting with Wang. The U.S. is threatening tariffs on about $50 billion on imports from China to address what it called “unfair Chinese economic practices” in IP and forced technology transfers. Japan also made requests of China regarding steel overproduction, Kono said, However, he denied an earlier report from Kyodo News that China had asked for Japan’s help on U.S. steel tariffs, which have been imposed on both Japan and China. That trade may be on the table for discussion when Japan’s Prime Minister Shinzo Abe meets with Trump later this week in Florida, but the rise of intra-Asian trade has weakened the power of U.S. attempts to coerce countries. China has replaced the U.S. as the number one trading partner for most nations in Asia, even those that have military alliances with the U.S., like South Korea, Japan and Australia. China is not just a trading partner, but also an important source of investment and tourists, which give it added bargaining and coercive power against other Asian nations. That being said, the U.S is still a more important overall economic partner for many in Asia. 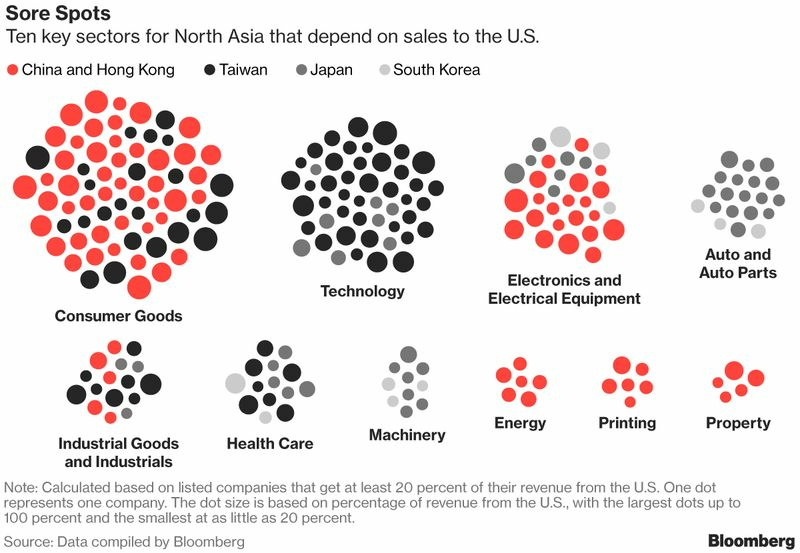 Japan, for example, has multiple times as much money invested in the U.S. as it does in China, and even with the recent tensions, many Asian companies rely on the U.S. market. Trade tension between the U.S. and China is not new. 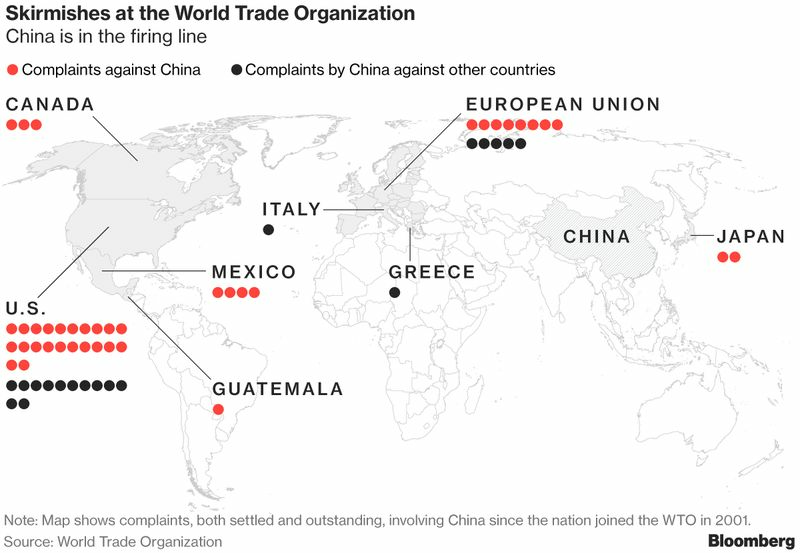 Even before Trump began railing against the persistent trade deficit, the U.S. had complained to the World Trade Organization about Chinese actions more than about any other nation. And China has reciprocated. But the current situation is much more tense and Japan’s economy would be damaged if it gets worse. So this week, Japan will have to walk a fine line, balancing often tense relations with its biggest trading partner against the demands of its second-largest trading partner, who is also its military ally and guarantor of its security. Kono said Sunday that he and Wang agreed to improve ties by having their leaders pay mutual visits, starting with a visit next month to Japan by Chinese Premier Li Keqiang for a trilateral summit involving South Korean President Moon Jae-in. All information found on this website or in any of our newsletters, including any ideas, opinions, views, predictions, forecasts, commentaries, suggestions, or stock picks, expressed or implied herein, are for informational, entertainment or educational purposes only and should not be construed as personal investment advice.